Craving a chocolate frappé? Try this better-for-you recipe! Chocolate syrup, which is often used in traditional frappés, has high fructose corn syrup. This recipe uses 100% cocoa powder. Chocolate sprinkles are also processed and this drink is garnished with real chocolate bar shavings. 1. Measure and pour the milk into the blender. Add the cocoa powder. 2. Blend the milk and cocoa for about 1 minute. 3. Scoop the ice cream into the blender. Blend it up for about 2 minutes until it's nice and frothy. 4. Make a garnish for the glass. First, grate the frozen chocolate bar and place the shavings on a small plate. Then, pour a bit of the shake into another small plate. Dip the rim into the shake, then dip it into the shavings. 5. 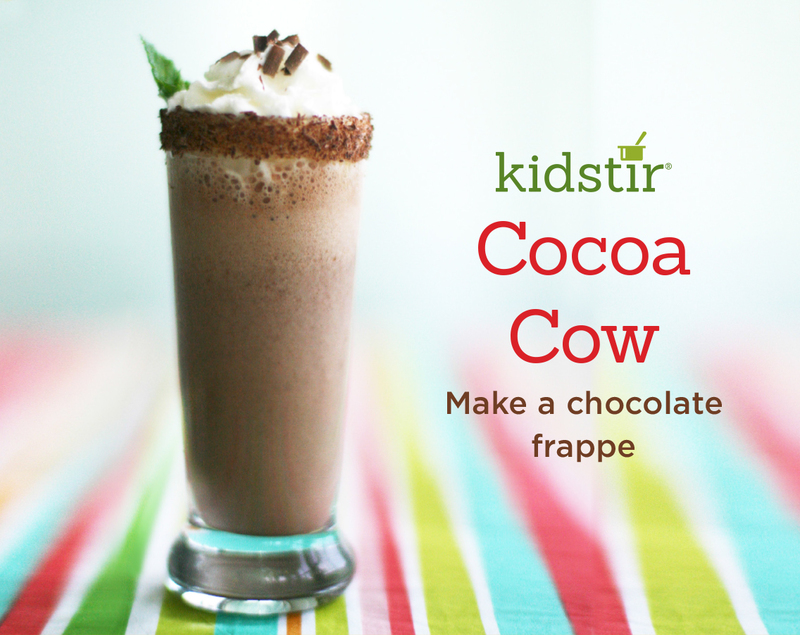 Pour the frappé into glasses. Top with whipped cream, a mint leaf, and a few extra chocolate shavings. Mmm . . . enjoy!